I sent out this e-mail newsletter today to the people on my email-notices list; if you'd like to be added to that list, drop me a note at sawyer at sfwriter dot com. 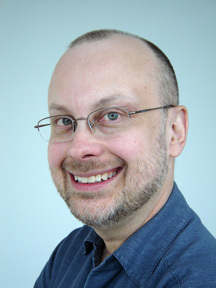 Hello, Robert J. Sawyer reader! American Library Association top-ten list! 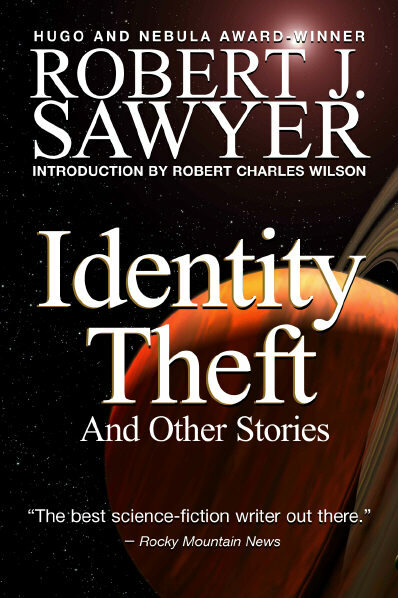 Just out: IDENTITY THEFT AND OTHER STORIES by Robert J. Sawyer, with an introduction by Robert Charles Wilson, published by Red Deer Press. Seventeen short stories, each with an individual introduction by me. The book is in stores now, and Amazon.com, Amazon.ca, Chapters.ca, and McNallyRobinson.com are all shipping it. Saturday, May 10, 2008, 3:00 to 5:00 p.m.
Saturday, June 21, 2008, 7:00 p.m. I'm thrilled that my novel ROLLBACK -- now out in mass-market paperback from Tor -- is one of five finalists for this year's HUGO AWARD (the top honor in the science-fiction field) for Best Novel of the Year. If you are, or become, a member of this year's World Science Fiction Convention, you can get FREE electronic copies of ROLLBACK, plus three other Best Novel nominees (Ian McDonald's BRASYL, John Scalzi's THE LAST COLONY, and Charles Stross's HALTING STATE). In addition to its Hugo nomination, ROLLBACK is also a finalist for this year's Canadian Science Fiction and Fantasy Awards ("the Auroras"). AUDIBLE.COM -- the world's largest provider of audio books -- has just released an unabridged recording of my Nebula Award-winning THE TERMINAL EXPERIMENT -- with more to come! Over the next few months, they'll also be releasing CALCULATING GOD, HOMINIDS, HUMANS, and HYBRIDS. This link will always take you to the full list of RJS titles at Audible.com. "Thoroughly entertaining; one of those books you can't put down. Truly engrossing human drama -- characters that are totally realistic. It's got mainstream appeal but is also a great read for fans of thought-provoking science fiction." "ROLLBACK is a story about love and commitment, about humanity at its most basic -- a novel to be savored by science-fiction and mainstream readers alike." "I highly recommend Robert J. Sawyer's ROLLBACK. It's a shoo-in to be short-listed for next year's major awards." I've finished writing WAKE, the first volume of my upcoming WWW trilogy about the World Wide Web gaining consciousness. The book will be published in hardcover in March or April of 2009 by Ace Science Fiction in the US and Penguin in Canada.